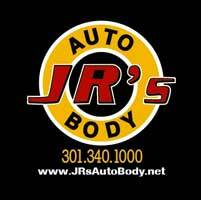 JR’s Fleet Services provide your company with a personal account manager to oversee fleet needs for collision work and auto repair. Your account manager will complete a Fleet Profile with your company’s information to provide a record of your fleet vehicles as well as your specific requirements and needs. You have the authority to prioritize how we repair your vehicles. Some companies value cost-savings over the appearance of their fleet, while others may value a quicker turn-around time over cost. As our customer, we will provide assistance with insurance claims and adjusters to make sure the repair cost will be covered in case of an accident. Whether you have a fleet of service vehicles or leased vehicles, we know that a vehicle out of service is a vehicle that doesn’t earn you money. We realize that you’re looking for speed because you need your vehicle back on the road. You’re also looking for quality. With a fleet of service vehicles your name is on the vehicle. You want vehicles on the road that look well-cared-for.